Tile cofounder and CEO Mike Farley sat down with me Tuesday afternoon at our e2e Conference to talk about hardware innovation. Farley had a lot to say in our sitdown at Jabil’s Blue Sky Center—since the company’s record-setting crowdfunding campaign for a $25 Bluetooth fob that you can attach to anything you want to find, the company has shipped 2 million units. People put them on smartphones, wallets, umbrellas—even dogs. The most interesting news Farley revealed in our conversation, though, was the rollout of Tile’s ReTile program. It’s been more than a year since the first Tiles shipped, which means the built-in batteries are starting to wear out. For customers who reup for more Tiles, they get them for $12 apiece, plus $3 shipping. The company will automatically remind customers to buy new Tiles as they near the 11-month mark. 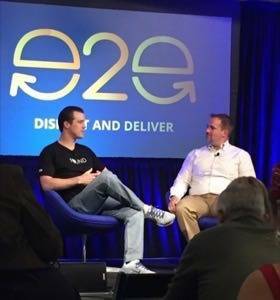 Tile CEO Mike Farley discusses his device and app with Owen Thomas at the e2e Conference in San Jose. In some ways, ReTile is an inevitable consequence of a design decision Tile made to use nonreplaceable batteries. Farley said that the company’s goal was not to make customers “do the work” of recharging devices or replacing batteries. What’s interesting to me is that Tile’s effectively moving to a subscription model. Put another way, Tile is charging $1 a month to find your stuff. Hardware just happens to be the way it delivers that service. When I chatted with Farley recently, he mentioned Apple’s recently announced iPhone Upgrade Program, which effectively delivers a new phone every year for $32 or more a month. The ReTile service, Farley argued, will be putting the latest technology in customers’ hands every year. Recent Tile models have new features like a louder ring when they’re lost and improved Bluetooth connectivity. Farley isn’t counting purely on online sales—Tile’s already sold at T-Mobile stores, and on Monday, the company announced Apple and Target would sell the devices at their retail locations. Physical retail’s hard to match for grab-and-go convenience. But with steeply discounted renewals, Tile stands a good chance at converting those retail sales into a direct, ongoing customer relationship. Tile also makes a free find-your-smartphone app for iPhone and Android devices. That app helps locate lost Tiles, whether or not the app user has bought a Tile herself. Think of that as the free tier of Tile’s service—with hardware as the premium offering. Meanwhile, the real value of Tile is in the network of people using it, since it only works when a Tile is near a smartphone with Tile’s app. 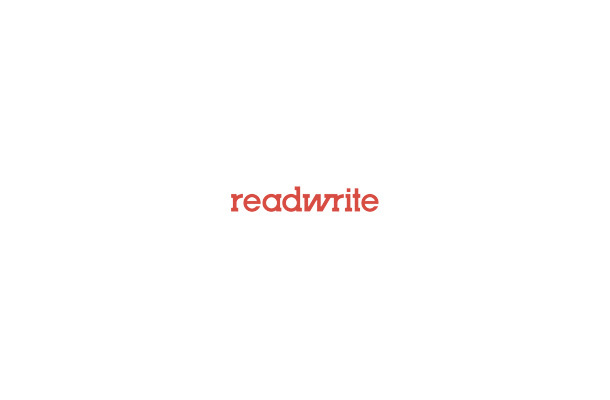 With connected devices, there’s a complex interplay of hardware, software, and services. Hardware happens to be the easiest way to get customers to pay something. But the long-term value may lie elsewhere. That’s the real lesson of Tile. Note: This article has been updated to note the location of the event where Farley spoke.